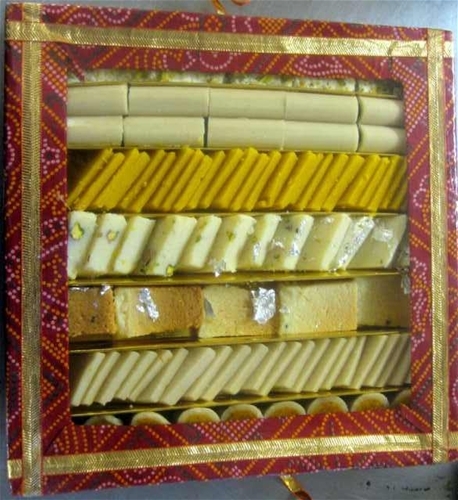 Traditionally hand-crafted sweets presented in a classic Bandhani box. A selected box of exotic and irresistible flavors of assorted premium sweets approximately (5)lb. All Gift boxes are professionally packed, shrink wrapped and shipped directly from our kitchen. Great gift to impress your loved one or VIP.